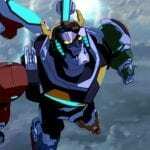 Though the paladins finally defeated Lotor in season six of the hit show Voltron: Legendary Defender, their fight is far from over as they take on a new challenge— returning to Earth. Season seven of the DreamWorks series focuses on the heroes’ journey home, which is a moment they’ve all been dreaming of. But when the power hungry Galra attack, Earth becomes something out of a nightmare. 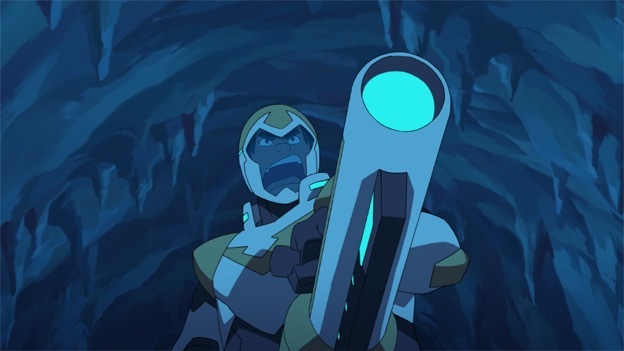 In anticipation of the 13 new episodes, I spoke with executive producers Joaquim Dos Santos and Lauren Montgomery about fan favorite Shiro, newcomer Romelle, going back to the paladins’ home planet, and much more. This interview was edited for length and clarity. There are no spoilers for season seven, but events from season six are discussed. 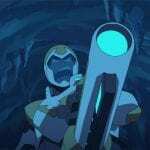 In season six, we learned that the real Shiro’s consciousness was living in the Black Lion after he died and that the Shiro with the team was a clone. How did you plan out that storyline, and did you worry when fans quickly started to guess that Shiro was a clone? Joaquim Dos Santos: We weren’t really worried. I will say that just from sort of a bigger perspective, there’s so many ideas and story threads that people are speculating on that they kind of get some version of what’s going to happen, regardless. Lauren Montgomery: Between everyone out there, if you were to take a little bit of this person’s theory and a little bit of that person’s theory, they know everything that’s happening. 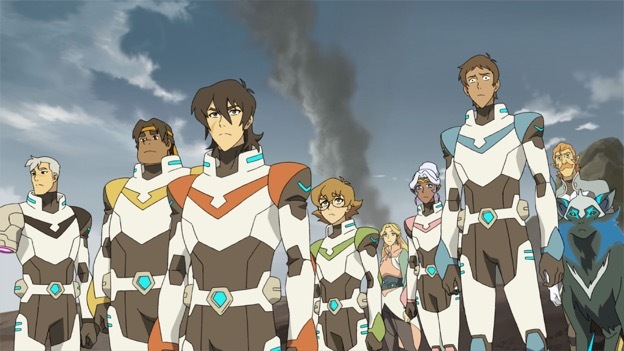 [With clone Shiro,] it was something that ended up happening kind of as a saving effort when we originally were going to have Shiro exit the show and just have the rest of our paladins rise up to fill that space. But then we got word that Shiro was not going to be leaving the show, so we kind of had to [ask], ‘Ok, what do we do now, how do we keep this guy in the show,” but without just kicking everyone out of their lions. We put our little thinking caps on and came up with this story, [and] I think early on, it was always an idea that his consciousness was going to be in the Black Lion whether we brought him back as a clone or whether he was just kind of that force that helped Keith along. Dos Santos: We knew that was basically our saving throw– that we could keep Shiro there, that even if we wanted to wait four seasons and then after that bring him back, we could. Montgomery: We brought him back sooner. But to allow our team to continue to grow while still having Shiro around without him being the leader that allows them to not have to grow because he does everything for them, we make him this clone where he’s a little erratic. In that way, most of our characters continue to have to fill in the gaps that are being left by this erratic clone. Staying on the topic of Shiro, he provides important representation for many fans. He’s an amputee, he seems to have some PTSD, he’s Asian, and it was recently revealed that he’s gay. What was it like constructing his character, and why do you think it was important to give him the qualities you did rather than give them to another character? Dos Santos: Well, he’s older and he just has more life experience than the other characters. He’s seen more, he’s had interpersonal relationships that were established and ongoing before he ever linked up with our characters. Montgomery: Some of it just came about because of the story. Like the amputee thing, him being in the Galra gladiator pits and fighting, it was just something that was part of that story and also a cool design element. Montgomery: Sometimes that stuff just happens, but then you also have that wonderful side effect of him being a source of representation for people. I don’t think we initially intended to just give him everything. I think it just kind of ended up working out that way, that these were all cool elements that really worked into his story best. Looking back on it, we certainly made him an amazing beacon of representation. Dos Santos: I think the cool thing is that if you look back and take into consideration everything he’s gone through up to the point where we first meet him and see how strong he is, that makes him even stronger and even cooler. 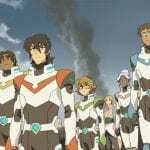 It seems that Keith will fully assume the leadership role in season seven even though Shiro is back. Keith really struggled with being leader in previous seasons, and though he’s grown a lot, does he still have any hesitations? Dos Santos: I don’t think so. I think at this point, we’re pretty safe in assuming that [in] the time he’s spent with his mother, he’s grown a lot. He’s had the time to really accept who he is and what his place is in the world and in the universe, and he’s come to terms with a lot of his demons. Montgomery: He’s become a little more settled in himself now that he’s kind of overcome a lot of those demons, and that allows him to trust in himself and in his own judgement. He no longer has that fear of trusting his own judgment and being that leader. He’s had that time away with his mother to kind of learn to trust himself, and so he’s able to kind of bring that to the team now. You mentioned the time Keith spent with his mother, and during that time he found a space wolf, who was kind of a breakout star in season six. What does that space wolf add to Keith’s life? Montgomery: What Keith did with his mother over those two years was like catching up on an entirety of childhood, and he kind of went through that like, ‘Now here’s your dog. Feed it, wash it, walk it.’ And so he learned that responsibility, being responsible for a life, and now that thing is loyal to him. Dos Santos: I think unconditional love from another creature is a big one, and I think no matter how far Keith has come, he’s still sort of like this lone wolf character. So now he’s got a companion in his cool lone wolf pup. Coming up in season seven, the paladins are headed back to Earth, where the Galra threat is looming. How did you go about bringing aliens and the consequences of their presence into the real world? Dos Santos: We sort of knew with the storyline that we always wanted to touch on [going back to Earth]. There’s nothing more personal that bringing the fight back to our cast’s home planet. In terms of getting them there, we wanted to make sure that we made it feel natural and like a natural progression of where the battle would go and why the Galra would think in the first place to even go there. Romelle made her debut in season six, and we’ll see more of her in season seven. Did you always know that you wanted to bring Romelle into the show since she was in the original 1980s series? What will she bring to the team dynamic? Montgomery: There was always a hope that we could. The whole Alteans kind of still being alive [storyline] was something that came about later in the development of the series, so we weren’t always sure if Romelle would be part of it, or if Romelle would be in the show but maybe not Altean. Dos Santos: We talked about her also at one point [being] in flashbacks for Allura or something like that. We wanted to work her in in some fashion. Montgomery: It wasn’t always crystal clear how she would come in, and so when ultimately the story came about, it was perfect that she would be kind of the mouthpiece for it. Montgomery: She’s like what Hunk’s start point was. She’s kind of that whole voice of ridiculousness. She’s fun. I’ve always wanted more female characters that held more of that kind of comedic weight, so Romelle’s a lot of fun to play with in that way. Staying on the topic of female characters, Lotor’s generals have been fan favorites, and they switch sides a lot. Axca seems to be the most unpredictable, and there have been a few moments where she seems to have a connection with Keith. Specifically in season five, she saves him at the Kral Zera. What’s their relationship all about? Dos Santos: It’s like a warrior’s respect. Montgomery: Yeah, it’s like an honor sort of thing. Axca, when we met her, she was on this mission to gather scaultrite from the Weblum, and she was probably going to die in that Weblum’s third stomach, trapped in her ship being digested. Keith saved her, knew she was Galra, but treated her with respect, and she appreciated that. She appreciated that this warrior saved her life regardless [of her Galra race] and treated her with respect the whole time. Even though she had to betray him at the end and take the scaultrite, I think she felt like that person has an honor that’s worthy of saving, so any chance she has to not kill him herself or not let him die, she feels like that’s a quality that needs to continue on in the world. I think that’s a quality that she thought Lotor had and maybe only realized at the end that for Lotor, it was all talk, whereas for Keith, it was apparent through his actions that he really had that honor. There have been several lighthearted episodes in past seasons that fans have really loved, like “Space Mall,” “The Voltron Show!” and “Monsters & Mana.” We now know there will be a game show episode in season seven. How do you come up with the ideas for these fun episodes? Montgomery: Some of it’s really just kind of like, “Oh, wouldn’t it be so awesome if we could do this?” Because ultimately, when we’re making the show, there’s a lot of things that we need to do for the story, like Galra attack, Galra attack, and then lions form Voltron. But anytime we get a chance to do something as outrageous as going to a mall or going to a mermaid planet or going on a game show, we really appreciate [it] because we know they’re going to be pretty few and far between. We take those chances when we can. Dos Santos: They let you see the characters in another light, and I will say specifically for the D&D one, there was a lesson to be had there beyond just playing the game. It was genuinely a team building exercise. They’re not just total throwaways. And then the mall episode, we juxtaposed that against probably one of the more serious storylines with Shiro bonding with the Black Lion. 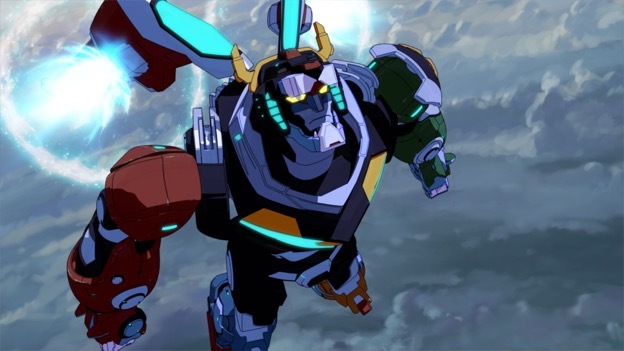 After season seven, there’s just one more season of Voltron. What has this journey been like for you two, and can you give fans any hints as to what’s coming? Dos Santos: [There’s] good stuff coming. We’re really, really excited for it, and we think it culminates in a really, really meaningful and important way for us personally. Montgomery: I think for us, it’s been about a four year long journey of just hard work. It’s been hard. But ultimately we really cared about the show, we believed in the show, and we wanted to do right by it because we were really proud of the show we made and the crew that we were working on it with. So as difficult as it’s been, I don’t think we would really change a thing. Dos Santos: It’s sounds maybe a little hokey to say, but with that much time passing, you basically form relationships that– moving on you might not see each other everyday– but these are friendships and relationships that will last forever. So beyond the show itself, that’s really meaningful. A big thank you to Joaquim and Lauren for taking the time to do this interview and to DreamWorks for organizing it. 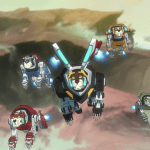 Season seven of Voltron: Legendary Defender hits Netflix August 10. A long time ago in a galaxy far, far away Hannah found Star Wars, Disney, and Marvel, and a fangirl force was awakened inside her. Hannah’s favorite animated movies are Beauty and the Beast, Pocahontas, and Aladdin. Movies such as these inspire her writing, which is her biggest passion. Hannah is an aspiring author and journalist, as well as a Christian, a horseback rider, and a cross country runner.